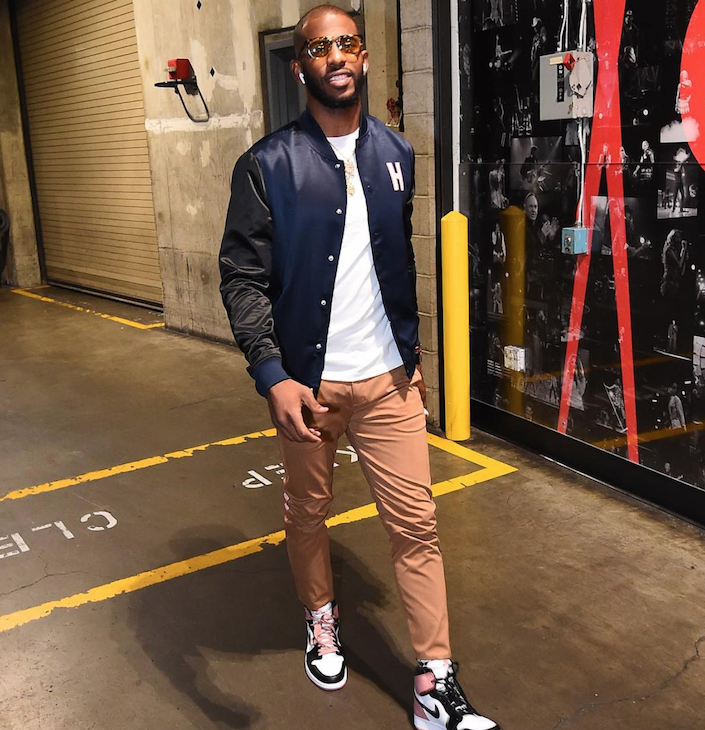 Chris Paul arrives at his previous territory wearing Hotel 1171 Jacket and Five Four pants. So as to not take away from his perfect ensemble, Chris Paul accessorizes with air pods. I wonder how he keeps his air pods safe? Air pods case maybe? Shop the Five Four x Chris Paul collection at The Menlo House!